The colors in this bracelet just shine! 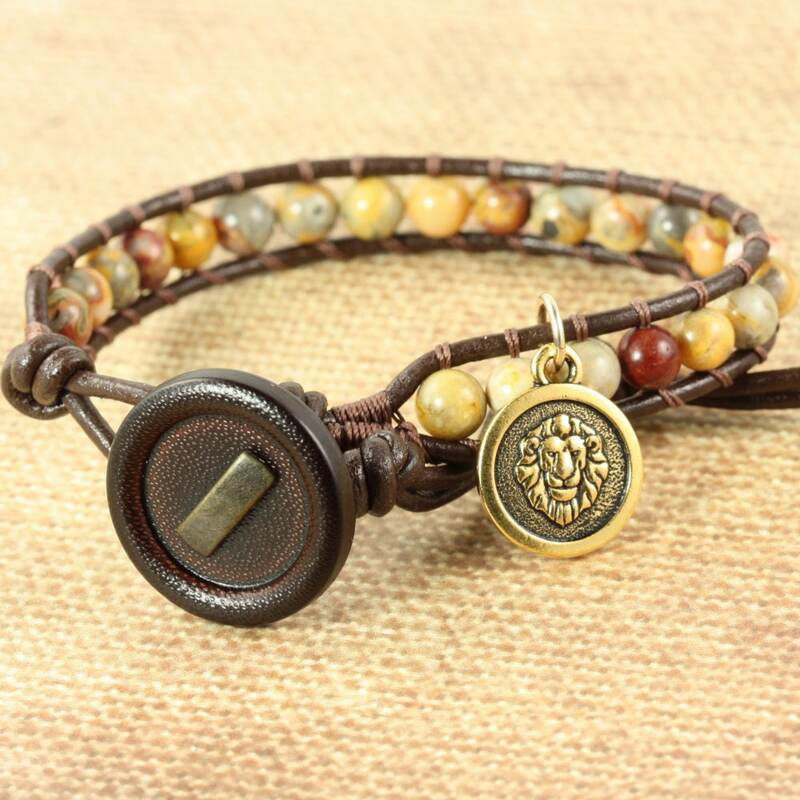 Golden yellow, cream, and gray crazy lace agate blended with a rustic brown leather cord. I used a faux leather button with metal accent trim for the clasp. This bracelet has 2 loop closures. It will fit wrist sized from 6 to 7 3/4 inches (15 - 20 cm). Please contact me if you'd like a different length made just for you.